Keyword rank data is still an important SEO and Content Marketing metric to understand and track. As such, gShift continues to invest in its global Keyword Rank Data collection, infrastructure and processing. gShift recently introduced its Real-Time Keyword Rank Data. You can now start following a keyword and have the rank data for the keyword made available to you in a matter of minutes. This is useful when you are meeting with a new client or simply need your keyword position data now. 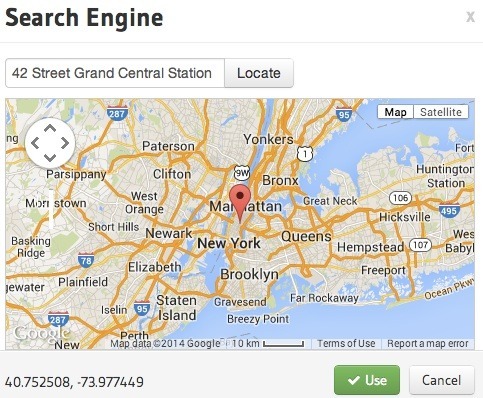 gShift now provides rank data as though your searcher was searching from a mobile device. You can also get geo-specific by including city or even more granular by pinpointing any latitude and longitude coordinates of any country. For example, we can tell you how you rank for a keyword in Google.com from a desktop and also for the same keyword when your audience members search on mobile devices, perhaps while standing in Grand Central Station in New York City! feature for franchises, local businesses or organizations with multiple locations. To put more of a spotlight on the quality of gShift’s Keyword Rank Data, we have Content-Level or Page-Level Rank Data, enabling content marketers to track the discoverability of a press release, blog post or any on-site page. 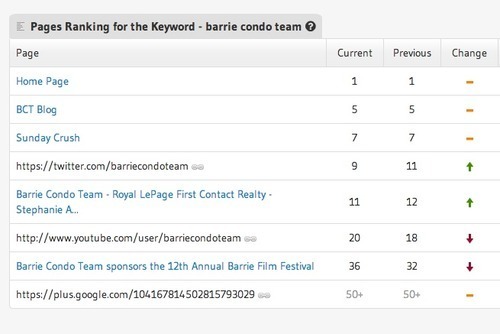 On-site content ranking for followed keywords is automatically identified in the keyword positions panel and reports. We are constantly collecting, processing and storing data. Our daily, content-level keyword rank data from any search engine and geography will help you gain insight into the opportunities for discoverability of content in search, social and mobile. Note: Mobile is every other day at this current time.